Jara was born in Eastern Oromia, near Gara Mulata, at a village of Mudir Goro, in 1936 to a generation of men who fought long and hard against successive Ethiopian rulers. A pioneer in many respects, Jara’s determination and bravery to end the marginalization of the Oromo was beyond reproach. He began his crusade to liberate the Oromo people first by joining the Bale movement led by the late General Wako Gutu in 1967. He later went to Somalia where he organized Oromo immigrants there to lay the foundation for the formation of OLA. After years of planning and preparation in Yemen, diplomatic travels in the Middle East and five years of imprisonment in Somalia, Jara returned to Gobele, Eastern Oromia, in 1976. Following a meeting in Finfinne in the same year with his colleagues working clandestinely to formally launch OLF, Jara returned to the field. A contingent of the Oromo Liberation Army under Jara’s command sent Muli’is Gadaa, another Oromo icon, martyred, to the OLF congress of 1977. Subsequent to that congress, the central leadership decided to relocate to the field immediately setting out to reorganize the army. Accordingly, a regional congress was held in east Oromia, which elected Jara as its head, Bobbasa Lamuu as its military commander, Badho Dachasa as head of political affairs, and Abdeljelil Abdalla as its secretary. 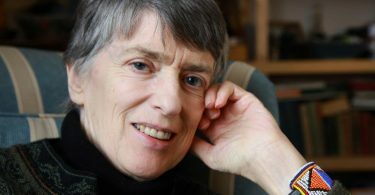 Unhappy with the reorganization and other minor differences, Jara fell out in 1979 with the OLF leadership. Following the split, his group continued to operate under the banner of OLF until 1985 when he formed the Islamic Front for Liberation of Oromia (IFLO) after a meeting with his supporters in Djibouti and Saudi Arabia. He remained at odds with OLF until the summit in Khartoum in early 1991, which was formally sealed in 2000 during the formation of the United Liberation Forces of Oromia (ULFO). In 2005, IFLO was renamed as the Front for Independent Democratic Oromia (FIDO) . A natural orator and stubborn in his resolve, Jara spent nearly half a century, until his final moments, campaigning for the emancipation of the Oromo. After ailing for the last three months, the news of Jara’s death is being mourned by all Oromos around the world. Efforts are underway in Yemen, Oslo, Toronto, and Minneapolis to have his body returned to Oromia for final rest. In his book on Heroes and Hero-Worship, a 19th century Scottish author, Thomas Cayle wrote,” the history of the world is but the biography of great men.” Heroes shape history and inspire generations of other heroes. Today, the Oromo lost one such hero. Many people gave their lives for this struggle, and most of their names are unknown. But Jaarra set himself apart as a natural born leader and pioneer. And this was simply due to his conviction and willingness to get the job done on his own if need be. His conviction took him away from a comfortable life and led him into a lifetime of hardship and uncertainty. I grew up always hearing about Jaarra to the point that his name became legendary in my mind. My father always recalled to me when he first heard about “Sheikh Jaarra” in Gaara Mullata and how the derg was mobilizing thousands of farmer militia to search for him. They failed. From that time forward his name was synonymous with Oromo resistance, and became a symbol of Oromo dignity.As a kid I recall watching a video of Jaarra speaking and noticed that he wore his watch on his right hand instead of his left. I remember without thinking, I took my watch off my left hand and put it on my right. That really summarizes how much I love him. We will continue where he left off. Rabbi rahmata haa godhuufi. I was shocked when I heard about the passing away of our legendary hero, Soressa Jarraa Abbaa Gadaa. The death of Jarraa is a great loss to the Oromo nation and the Oromo people at large; a great loss to FIDO and its members; and a great loss to his families and colleagues. Although he passed away, the legacies of his full lifetime struggle, the torch he ignited and held up, and the cause he advanced will remain with us. I am one of the luckiest Oromos who have had close access to this legendary hero in Asmara, Eritrea for almost three years. Jarraa is one of the remarkable Oromo personalities I have ever seen in my life. Soressa Jarraa Abbaa Gadaa was a moving encyclopedia of Oromo society, resourceful, a man with high sense of justice and determination, defiant and resilient, a man of high simplicity and decency, and a man with high sense of humor. I met him for first time in Asmara at the end of 2003 at the presence of Sisay Ibssa and Galasa Dilbo during the meeting of ULFO. From the time of my elementary school I used to hear and read about him. However, it was like a distant (in location and time) legend for me. It is understandable how impressive it would be to meet a distant legend in person. As curious young man, I had flooded him with several questions that used to boggle my mind. With his extraordinary storytelling talent, you cannot get enough of listening to him. His remarkable memory of life experience and abilty to explain things with graphic clarity was amazing. He also had the capacity of telling his painful experiences in a very humorous way. One of his excitements during those days was to meet enthusiastic young Oromos who were interested in Oromo national liberation struggle. From 2003 to 2006, I had a number of chances to meet him frequently. One of the extraordinary qualities I have observed in him was his unwavering determination to pursue his purpose no matter how many challenges he faced. I can say he himself was an icon of determination and purposeful life. In most of his interactions, one of his burning issues and concerns was to see Oromo forces united and led under cohesive leadership. On the issue of having a cohesive leadership, at one occasion I heard him saying, “ULFO jedha, yoo barbaddan Gaddisa ykn xaddachallee jedhaa, waanuma feetan jedhaa, garuu humna Oromoo tokko godhuu kanarratti jabannee hojjatuun waan hunda dursuu qaba.” At this moment of mourning, I would like to share my condolences with his beloved family and colleagues. I pray to Waaqayyoo to rest his soul in peace, and to give his families and colleagues strength ; and I appeal to his colleagues to uphold his legacies and banner. I came to know Jaarraa in 1976, when he first came from Somalia. At that time, I and many other Oromos who were part of the student movement had already created several study circles in towns like Haramaya, Dirre Dhawa, Harar, Bate, Hirna, Awoday, Dadar and so on. These circles’ representatives used to come together once a month or so to discuss ways to promote the Oromo national struggle. At that time however, we did not yet chart any clear strategy but we were very much influenced by the battle of Xirroo in which Elemo, Hunde, Shek Jamal and Ahmad Taqii were martyred. Some of us also have already witnessed how the students from Eritrea and Tigray were organizing at Addis Ababa University within the University Students Union of Addis Ababa (USUAA). A few Oromo students were also doing some political work within USUAA (Oromo papers such as Bilisummaa, Bilqee, Qaanqee, Mukukkulaa, and later Oromiyaa, Guuca Dargasggoo and Warraaqaa were also published and distributed). On the other hand, the mainstream Ethiopian student movement had started to crack/divide, and transform itself into two camps; one supporting the Dergue (EMALEDIH) and the other opposing the Dergue (EPRP). These two groups dominated the political atmosphere of the time. Each one of these two groups was busy trying to rally the Oromo students to its side. Jaarraa Abbaa Gadaa and Mull’is Gadaa came home at this critical juncture and put forward a clear vision for an independent Oromiya. The tactics were “by all means necessary”. The support they got from us was overwhelming. Both Jarraa and Mul’is were unflinching in their stands. They knew clearly to what level they wanted to elevate the Oromo nation. They were very bold, courageous, and inspiring. I believe I felt invincible when I was with them even when our tiny units were completely surrounded by overwhelming enemy forces. Their ingenuity shined. They did what they say and walked the talk. Remember, this was at a time when people were afraid/ashamed to even say they were Oromo. Inspired by Jaarraa’s messages, his selflessness, courage, and dedication, every strata of the Oromo that he touched rallied with him. His messages were very powerful and contagious. I would do Jaal Jaarraa and the Oromo at large a great disservice if I say one or even 100 paragraphs would describe Jaal Jaarraa. His death is a devastating loss for me as a friend and a comrade-in-arms. I will terribly miss him. As a man, Jarra was very humble. He was able to make you feel happy when you are devastated, sad, and even depressed. He jokes, plays …You can stay with him for weeks without ever feeling bored. Oh God! I can’t write anymore at this time. I will do more in the future as I get better. May Allah rest his soul in Jennah, and my deepest sorrow and condolences go out to all Oromos, to those who knew him, and to his family members. I grew up hearing about Jaarraa from my family members especially from my father. As a brother of Ahmad Taqi (Hundee), an Oromo hero who was martyred along with comrade Elemoo Qilxuu, my father — Muttaqqi Sheikh Muhammad Rashid — had some roles in the underground Oromo nationalist movements then, and was repeatedly harassed, detained and tortured by the Dergue regime. I remember one accusation made against him was disseminating an audio taped message of Jaarraa Abbaa Gadaa. My father later told me that the audio cassette was sent to him via Abdalla Haji Adem, a nephew of Jarraa who was then an elementary school teacher at a small rural town called Darakku – about 15 kms south of Galamso. I think that was the first incident when I heard about Jarraa Abbaa Gadaa. My father and other relatives used to describe Jarraa as a charismatic and athletic figure; they highly appreciated his oratory skills. And I have always been so eager to see him. But I never had a chance although I admire him as much as Elemoo Qilxuu and my uncle, Ahmad Taqi. 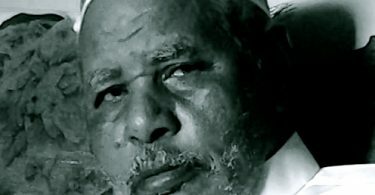 We are greatly saddened by the death in exile of Jarra Abba Gada (Abdulkarim Ibrahim), one of the trailblazers in the Oromo people’s struggle for freedom. Jarra was the bravest of the brave. He took up arms to fight the Ethiopian rulers who continued to subjugate Oromia and oppress its people. In his young age, he found it unacceptable to tolerate the oppression, exploitation, and abuse of the Oromo people in the hands of successive Ethiopian rulers. Deciding to give up everything in life for the sake of liberating the Oromo people, the young Jarra joined the Bale resistance and later helped found the Oromo Liberation Army. Jarra was the first Oromo nationalist in the OLF to alert and educate Oromo leaders and nationalists on the sinister schemes and the danger the Somali regime of Siad Barre posed against our people and land. He languished for five years in Somali prison for refusing to succumb to Siyad Bare’s ambition of gobbling up Oromo territory to aggrandize his Great Somalia Republic. He was uncompromising when it came to the legitimate rights of the Oromo people. 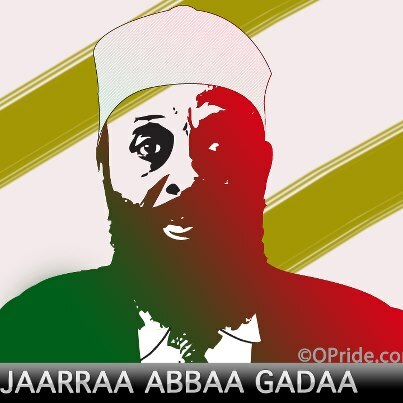 Moreover, Jarra consistently resisted and opposed foreign meddling in Oromo affairs.It is a travesty that such a giant national hero could not die among the people he so loved and could not be laid to rest on the land he fought to liberate. It is with enormous sorrow and grief that all Oromo nationals and friends in Oromia and beyond to hear that one of the great leaders of Oromo liberation struggle has passed away, after long time illness, while conducting resistance from exile. Jaarraa Abbaa-Gadaa’s history is an integral part of the initiation of the Oromia-wide armed struggle for liberation. His arduous journey to launch armed struggle started from eastern Oromia, passing through the armed uprising in the southeast, Somalia, the Middle East, back to Somalia for five years incarceration in Somali prisons and back to eastern Oromia to realize the dream, which demonstrates a distinctive determination. His continued defiance of any pressure or temptation from governments and entities throughout the region and beyond, and his steadfast resolve in the principle he stood for to the last minute is something that all Oromo nationalists have to take as a reference.